Blog How Much Money do MMA Fighters Make? How much money do MMA fighters make? For such a short and simple question, you might be surprised to learn that the answer is a bit more complicated. With the explosion of popularity in MMA thanks to fighters like Conor McGregor over the past few years, the pay has substantially risen. Although there is still a significant wage gap from the highest to the lowest paid in organizations like the UFC. This is actually an implication from the rise of some of the top stars in the sport. There are many problems in the MMA industry that many casual fans don’t know about. For newer fighters, they don’t have the big agents that rookie players in the NFL and NBA have. Which means they don’t have the same advantages in negotiations as these other sports stars do. They also don’t have a “fighters association” or union that many other professional sports have, which is helpful to the fighters when dealing with fighters rights and other financial negotiations. How much money did MMA fighters make in 2018? There were 187 MMA fighters in the UFC who earned six-figure salaries in 2018, although 37% of MMA fighters in the UFC made less than the $45,000 median U.S average household income. The median income for a MMA fighter in the UFC was $68,500 in 2018 and the average income of all UFC fighters was $138,250. This average is heavily swayed by top earners (outliers) such as Conor McGregor. How much money a UFC fighter makes all depends on how many UFC fights they’ve had previously, how popular they are as a fighter, and how often they fight every year. Fighters like Conor McGregor don’t have to live paycheck to paycheck anymore, however, some UFC fighters still struggle to make ends meet if they’re new to professional fighting. There are many ways a professional MMA fighter can make money, there are also endorsement opportunities for the top fighters and sponsorship opportunities (outside of the Reebok sponsorship that we’ll talk about later). However, many of these endorsement opportunities are reserved for only the best of the best. For example, Stipe Miocic has a popular Modelo commercial that has been running non-stop recently, and other popular fighters such as Cody Garbrandt are sponsored by BodyArmor. 187 fighters (33% of the UFC) earned six-figures in 2018. To put this into perspective, the average household income in the U.S. is around $45,000 per year, yet over a third of the UFC’s fighters (213 fighters – 37%) made less than the average American household in 2018. However, these numbers continue to increase as the popularity of MMA increases. The UFC signed a 5 year deal with ESPN to broadcast tons of UFC events every year on ESPN and ESPN’s streaming platform ESPN+. This ESPN deal (beginning in January 2019) was absolutely groundbreaking for the UFC and all of MMA. The popularity of MMA will continue to rise, I believe the ESPN deal with the UFC is just the beginning. So you’re telling me MMA fighters make money from fighting? If this answer wasn’t obvious enough already we are here to confirm that yes, this is the number one source of income for MMA fighters. To break it down for you we’re going to talk about the average “fighting salary” that fighters made in the cage, from the best to the worst. The average UFC fighter made $138,250 in 2018, up from an average earnings of $132,109 in 2017. 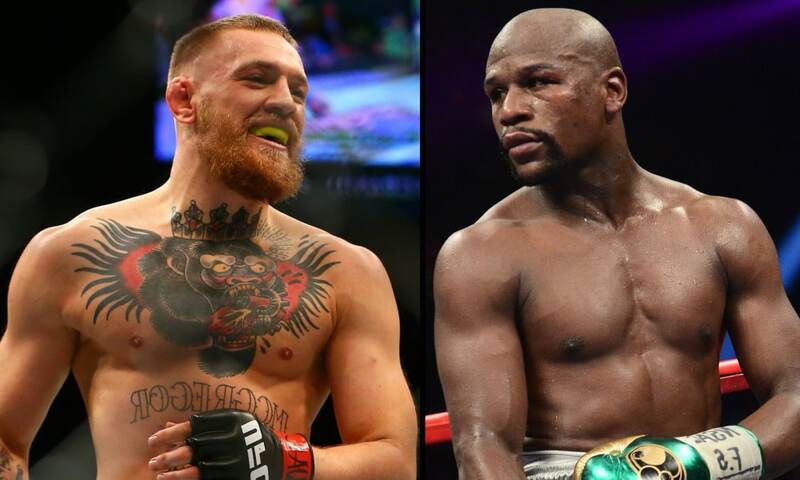 Fighters such as Conor McGregor or Jon Jones make much more than the company average, usually earning millions of dollars each fight after PPV earnings and sponsorships. Conor McGregor, in particular, has a lucrative deal with the UFC which involves his Whiskey brand “Proper Twelve,” in which the Proper Twelve logo will be on the octagon for every UFC event that he’s competing in. The average household income in the U.S. is around $45,000 per year, yet over a third of the UFC’s fighters (213 fighters – 37%) made less than the average American household in 2018. I guess sometimes it doesn’t pay to get punched and kicked in the face. Only 187 fighters in the UFC are currently earning six-figure salaries. This looks extremely bad when compared to the NFL rookie salary minimum of $450,000. 15 men and women wore UFC championship belts (including interim) in 2018, and they earned an average of $783,400 (up from $666,643 in 2017) . This can also be contributed to the rise in interim belts. The highest earning non-UFC champion in 2018 was Conor McGregor, who pulled in an astonishing $3,030,000 (this was only base salary for the fight, PPV split and Sponsorships were believed to have been an upwards of $50 million). It is worth noting that these are only the reported salaries plus Fight of the Night, Knockout of the Night and Submission of the Night bonuses that have been made public, along with Reebok payouts which came into effect with UFC 189. Before the Reebok deal came into place, MMA fighters made a ton of money off of their sponsorships. This is the reason why a ton of MMA fighters were upset when the Reebok deal came into place. The video below shows the initial reactions to the Reebok UFC deal. Under the new reebok pay structure, athletes with three or fewer fights in the UFC will receive a Reebok sponsorship stipend of $3,500 per fight. Athletes with four or five Octagon fights will earn $5,000. Previously, both of those categories were encompassed under one sponsorship tier, which paid out $2,500 in Reebok earnings per fight. The Reebok sponsorship is still substantially less sponsorship money when compared to these days. We talked about endorsements earlier, however, these type of lucrative deals are only for the “best of the best” when it comes to mixed martial arts. Companies such as Modelo and BodyArmor have a few special athletes from the UFC that they endorse. These athletes are either already World Champions, or they’re up and coming MMA fighters that are seen to have massive potential in the sport. Endorsements are a great way that a company can use an icon such as Conor McGregor to make their product more appealing to all types of people. If you’re a Conor McGregor fan, chances are you’ll end up in a Burger King sooner than later. Subconsciously I’ve even purchased Modelo because of the advertisement featuring Stipe Miocic, endorsements are a great tool companies use to market their product through a popular individual. How do UFC fighters get paid? UFC fighters get paid a base salary on fight night no matter if they win or lose, however there is typically a “win bonus” involved for the winning fighter. The “win bonus” is usually the same as the base salary which can obviously be a big incentive for fighters to perform their best. We can’t forget to mention the “fight of the night” and “performance of the night” bonuses which are usually an extra $50,000 for fighters who do something extraordinary on fight night. UFC fighters are given a fee for every match which they fight in, irrespective of their victory or loss. There is a contract drawn up for each fighter, and higher ranking fighters make more money. Also, fighters in greater demand can negotiate for better prices (such as CM Punk). We talked about the win bonus earlier. Many people are strongly against the idea of a win bonus. Whether you advocate for it or not, it must be nice to get paid double for a win. This is usually for fighters who make less money, rarely will you have a top ranked fighter who is making six figures get a huge win bonus. The reason I included this is because UFC and Reebok have a new deal (we talked about this above). Fighters receive a “Reebok” sponsorship fee every time they step in the octagon. Many fighters have disagreed with this sponsorship because it means they can’t have ANY other sponsors on fight night. This Reebok sponsorship has caused fighters to lose a lot of sponsorship money. Fight night bonuses are one of the most exciting things about the sport. UFC usually awards a few “fight of the night” or “performance of the night” bonuses for fighters who go above and beyond. For example, if there is an amazing fight that gets the crowd going absolutely crazy, fighters may be awarded with an additional $50,000 for “fight of the night”. Also, if a fighter has an amazing performance or a spectacular knockout or submission, they may be awarded with “performance of the night”. Who are the Highest Paid MMA Fighters? The highest paid MMA fighters aren’t always the top earning in the octagon. Remember, a lot of fighters make a majority of their salary from PPV sales and sponsorships outside of the UFC. Many fighters also saw huge monetary losses in 2018 from their acts outside of the octagon (McGregor throwing a dolly through a bus, Khabib starting riot after UFC 229). The highest paid fighter is the notorious one. Coming off a huge 2017 year and a massive payday from the Floyd “Money” Mayweather boxing match, in which he was paid in an upwards of 100 million. Conor McGregor continues to impress in and outside of the octagon. The MMA game is a much better place than it previously was thanks to superstars like Conor McGregor. His most recent fight, a loss to Khabib Nurmagomedov, was his highest earning in the UFC to date. Many speculate he made an upwards of 50 million after a reported 2.4 million PPV buys. Last fight salary: estimated 50m+ ($3,000,000 to show, $50,000 Performance of the Night bonus, $40,000 Reebok sponsorship) The large bulk of that 50 million was from the PPV buys from his fight with Khabib Nurmagomedov. Endorsements: Burger King, Beats Electronics, Monster Energy. Other Ventures: Proper Twelve is a huge venture Conor McGregor took on for his fight with Khabib, this is a huge investment that has been very successful. Many believe Khabib is the best fighter to ever grace the octagon. 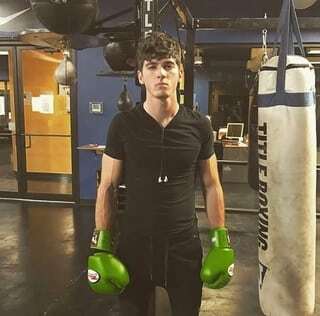 With a current undefeated record of 27-0, many people believe that he’s currently the #1 pound for pound MMA fighter in the world. Surprisingly, many people are just beginning to understand the power “The Eagle” can show. Sadly, after the chaos that ensued at UFC 229, half of Khabib’s $2 million purse has been withheld from him. Mark Hunt is one of the most popular fighters down under. He has shown his value to the UFC with his ability to headline major events held in Australia. Mark Hunt has made over 6 million in base salary since joining the UFC in 2010, this is impressive for any fighter to continue fighting at such a high level for over a decade. Daniel Cormier (also known as the double champ) is a fan favorite of many UFC fans worldwide. He is a great ambassador of the sport inside and outside of the octagon. Outside of the UFC, Cormier volunteers teaching high school wrestling in California. The rise of Daniel Cormier has just begun, enjoy the show. Alistar Overeem is a dutch mixed martial artist and former kick boxer who continues to make tons of money competing in the UFC. He has had an illustrious MMA career which includes over 60 fights total. Alistar has competed for nearly a decade in the UFC/Strikeforce and has earned over 8 million in base salary during that time. I think everyone can agree that MMA fighters should be treated better in general, however, we also must understand the massive potential for making money in the UFC. People must understand that not every fighter competes in MMA solely for the money, many fighters compete because they simply love MMA. So next time you’re sitting at the bar and you think to yourself “how much money do MMA fighters make?” remember that the answer isn’t as simple as it sounds. If you’re someone who plans to compete in MMA, please be aware of the health consequences that could result from competition. “Prize fighting is temporary, Martial Arts is forever”.